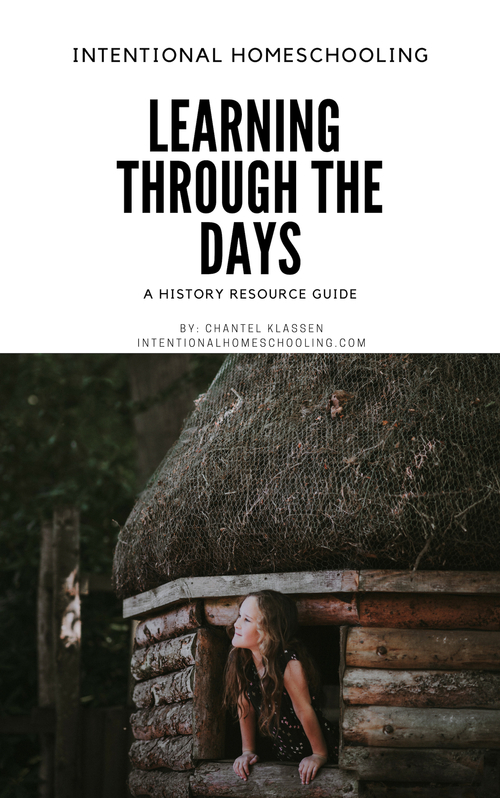 This digital resource guide was designed to help give you simple ways to learn about history and geography in your homeschool without a curriculum and very little prep on your part. With Learning Through the Days you can just look into the resource guide and look up the current day and see what happened on this day in history for each event listed in the guide some kind of resource will be suggested. Most of the resources included in this guide are actually short YouTube videos that I have handpicked to give you a little overview of the event. Some days may include a picture book to read together, this is for those who like to plan ahead a little and have these resources ready. In addition to sharing what happened on this day in history the resource guide will also have information on different events or days such as Groundhog Day and Valentine's Day. 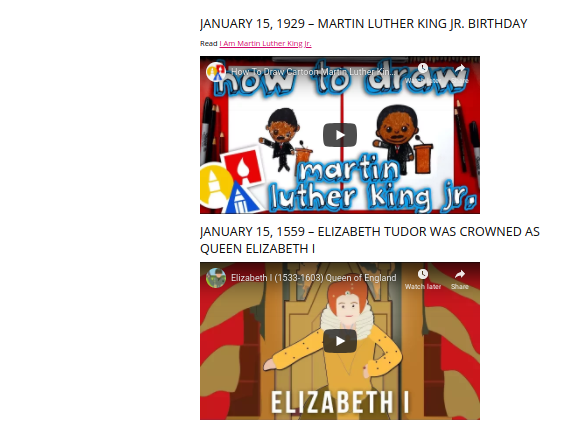 You can use the resource guide as is and just watch the videos and read the suggested books, or if you or your kids are inspired by a certain event you can go ahead and follow that rabbit trail where it leads and study that topic for awhile. While all ages can benefit from the information in this guide it is best suited for use with grades 1-6. The guide currently includes January to April, each of which include at 15+ events. May through to December will be added to it shortly and I would eventually love to have a resource for most days of the year.